I have quite the variety of finds to sort through. 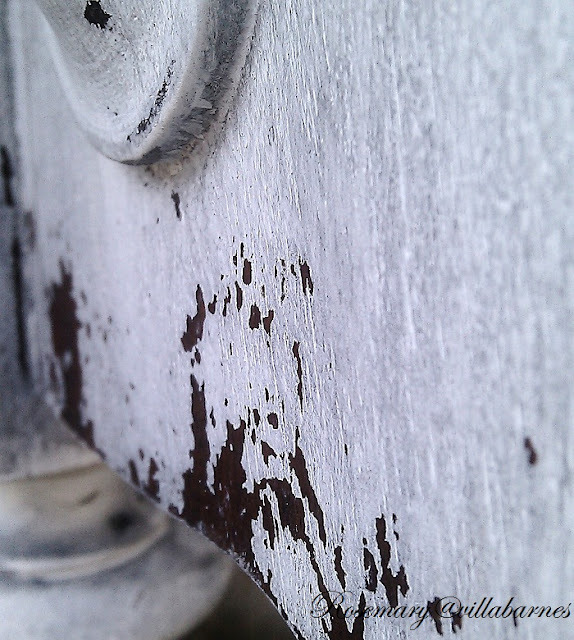 The table my vintage silver pieces are sitting on was a curbside find I painted, distressed, and still need to put a finish on. That's right, I found it in the trash. Here's the before. 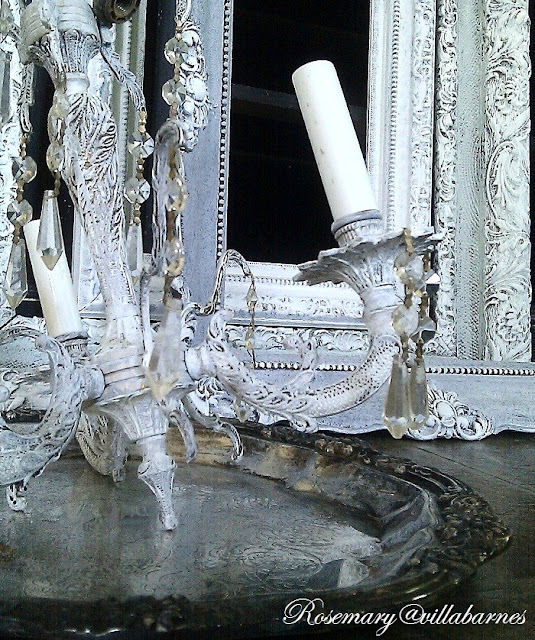 I'm also painting frames, and working on this small chandelier. Here's the before on the chandie. were an estate sale find. 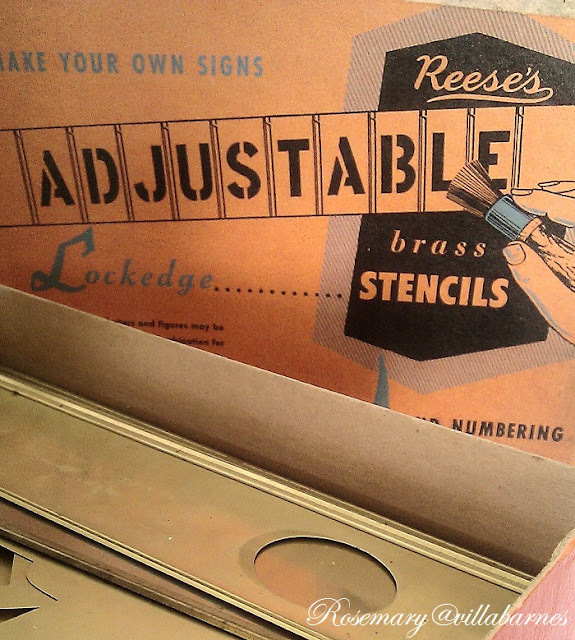 Vintage brass stencils. I love the graphics on these. I picked up these weathered finds while hunting and gathering this weekend. 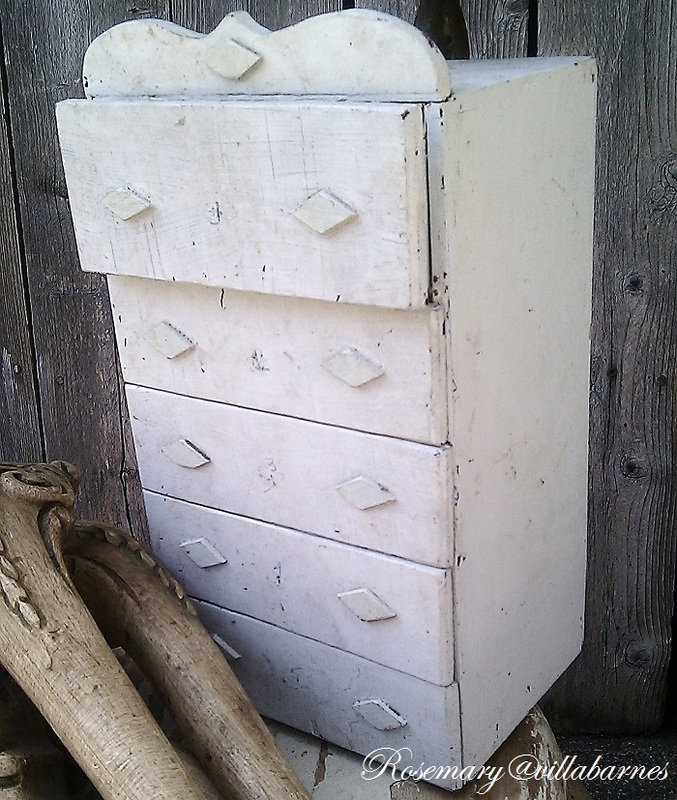 I love this vintage handmade little chest. Not sure how the previous owner used it. I'm planning to turn these two industrial pieces into a desk. A weathered door on top, maybe. This piece opens. Not sure what I'm doing with it yet. There's so much more I have to get to. My abyss of a garage is starting to look crazy again. You have no idea how much I've managed to accumulate AFTER I did my Spring cleaning. Ugh. Back to work. Amazing finds and now I cannot wait to see the final results. This post was like the show Picker Sisters. Love it. 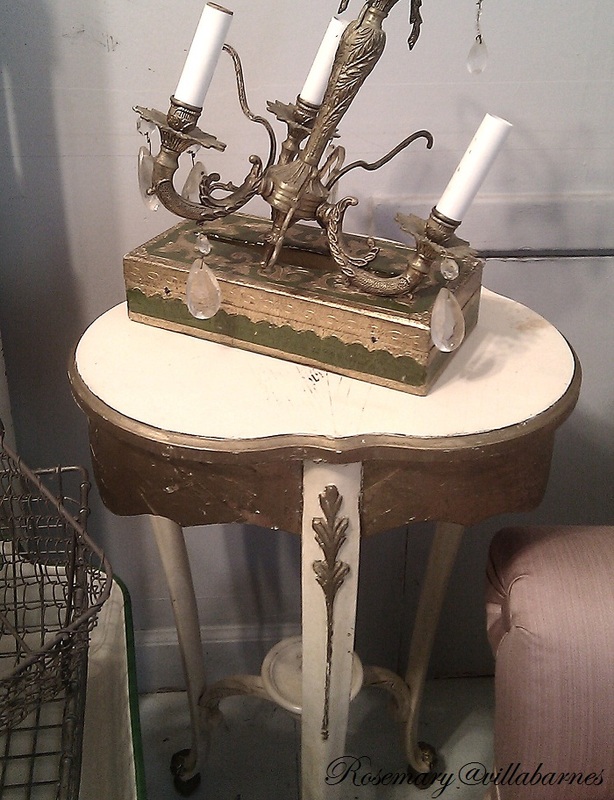 fabulous finds...I love the little chest, what a darling piece. I have a similar piece I found and have kept it for nearly 9 years. It's been painted a few different colors but I never get tired of it. You have some potentially amazing things there! You already have things looking awesome. Such a talented gal you are, wow wow wow!!!!! Be still my heart! Oh my goodness, what a haul. 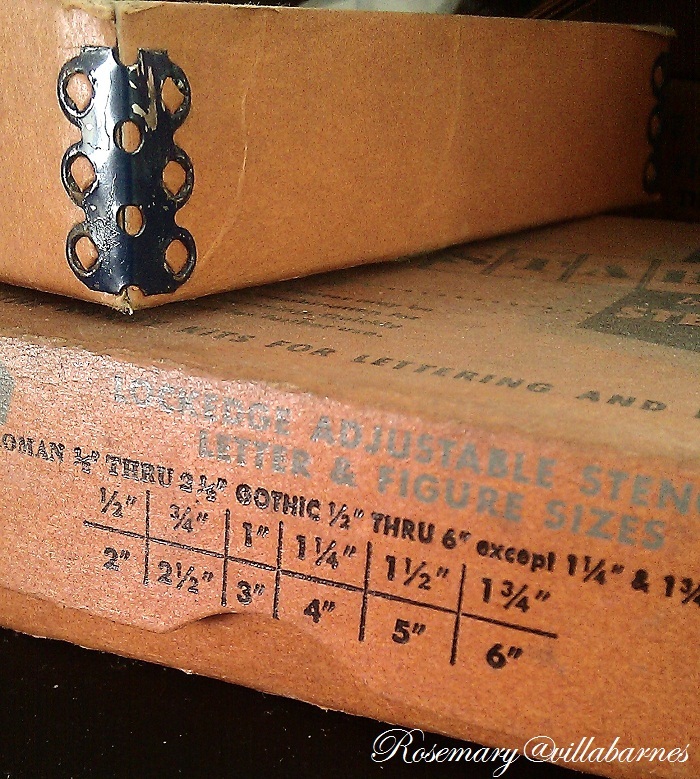 I love those stencils and the boxes they came in, all your silver, and that chandie. I still need to paint the one I found last weekend. Fabulous treasures! You find the best stuff. Who would just throw away a table like that. Just plain crazy. Amazing finds, I love the table on casters. I have never been to an estate sale nor do I yardsale. I am definitely going to have to rethink stopping at a few. I love that handmade chest and I know you will do something amazing with it. Those industrial pieces will look fabulous with a weather door on top. Fabulous!! Now those are my kind of finds. I can't wait to see the magic and the love you will put on each piece. 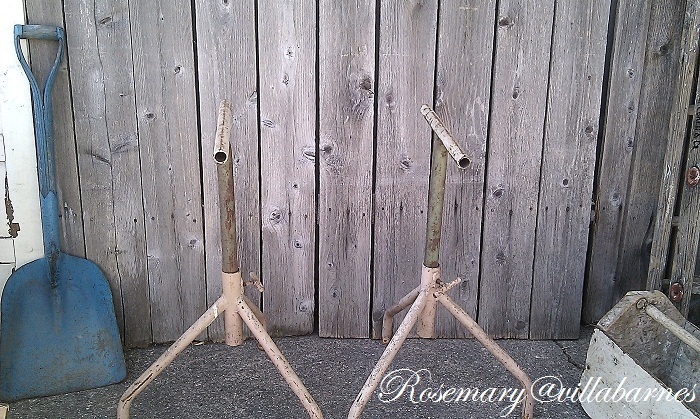 Great finds Rosemary! And I LOVE free!!! I do find that occasionally but I may need to take a drive out on trash day ! Looking forward to that industrial table transformation! 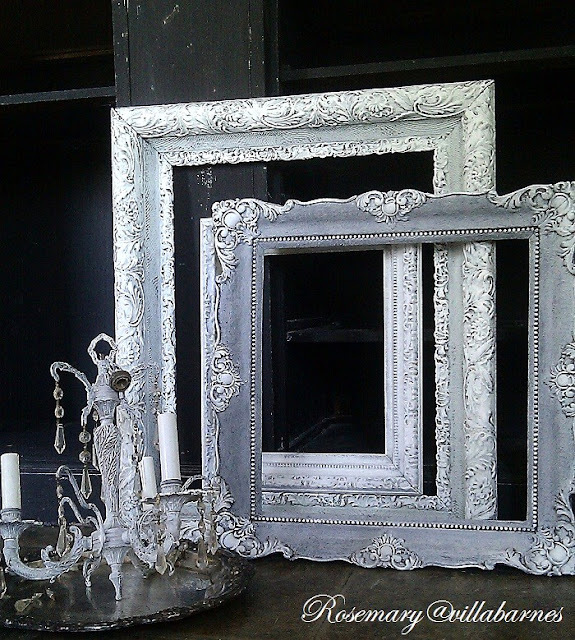 Everything in your post looks great--but those frames and little chandelier really catch my eye! So pretty! Wow, look at all those great finds, Rosemary! I love the frames. Those table legs look like they could be used to make something interesting. Great tote! I'm going back for one I passed up the other day that was about the same size. Great treasures! I love the chandelier. 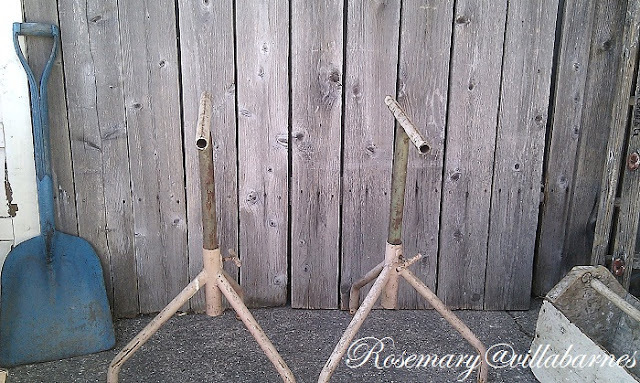 Wonderful finds there Rosemary! I can't believe someone had that table out for trash, great makeover! Love all those vintage silver pieces too! 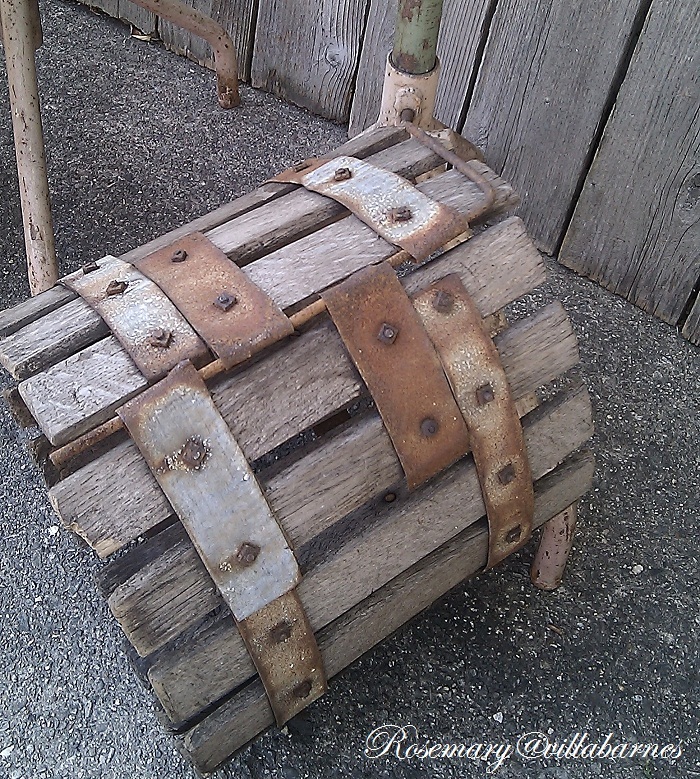 Gosh, why can't I ever find good pieces of trash like that on curbs around here???? I saw something the other day that was a weight bench and some speakers. Boring! 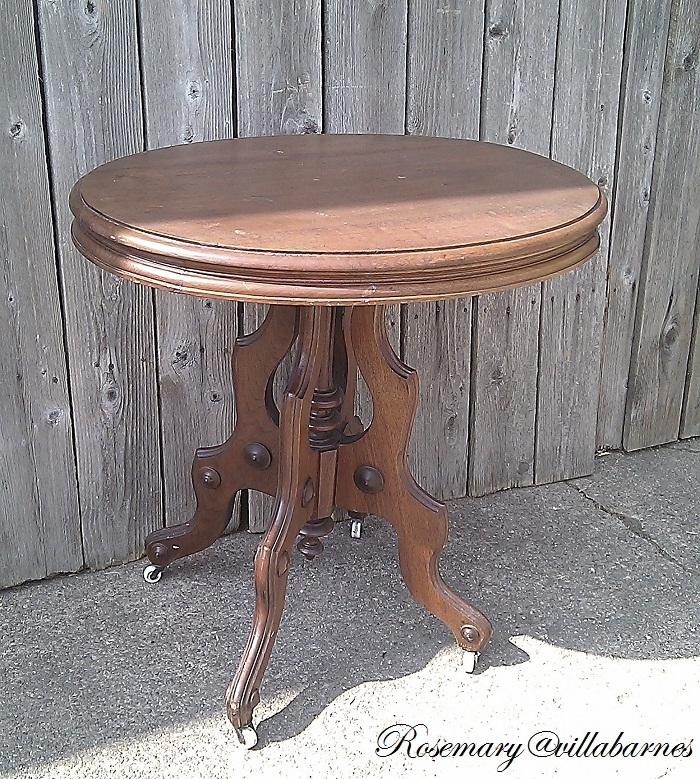 Love that round table you found and are redoing. I go thrifting a lot and never see the great stuff you find. Even at garage sales or estate sales. 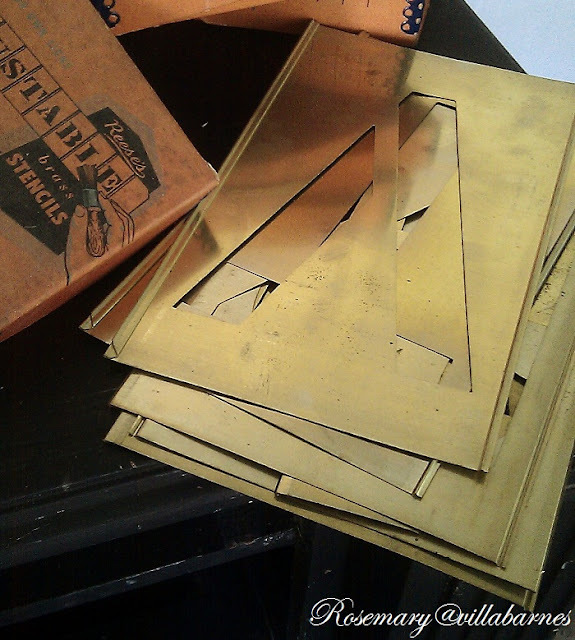 Those brass stencils are a very unusual find. You find the most incredible things...good for you Rosemary....I cannot believe someone threw out that pretty table....and love those brass stencils! AWESOME finds - especially the table from the trash - wow!! What fantastic finds! I really love that huge tool carrier!! Rosemary, you have an amazing eye for finding treasures in the trash! LOL! 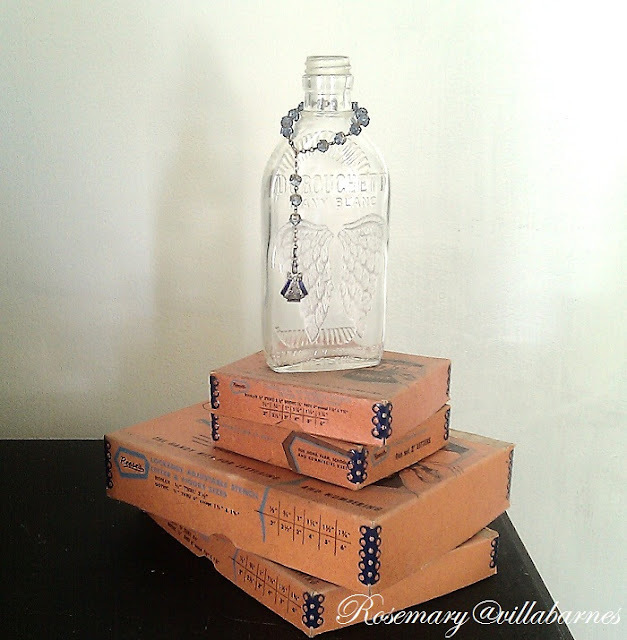 Only you can take all of these items and turn them into something fabulous! You got some good goodies there. I have no doubt you know just what to do with all of it too. 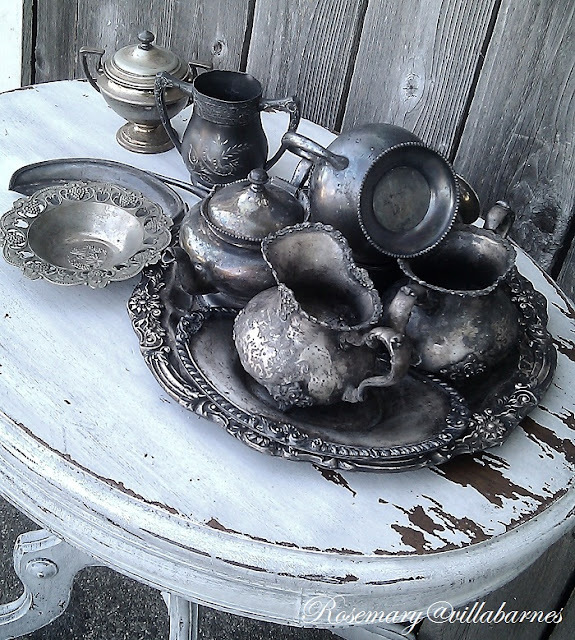 I too have a collection of silver and silver plate that I have been adding to from thrift finds and tag sales, also your vintage stencils, I have some that I inherited from my grandfathers paint box of paint tools, only mine were overly used and love way too much, the age tells its own stories. Keep inspiring all your beauty. 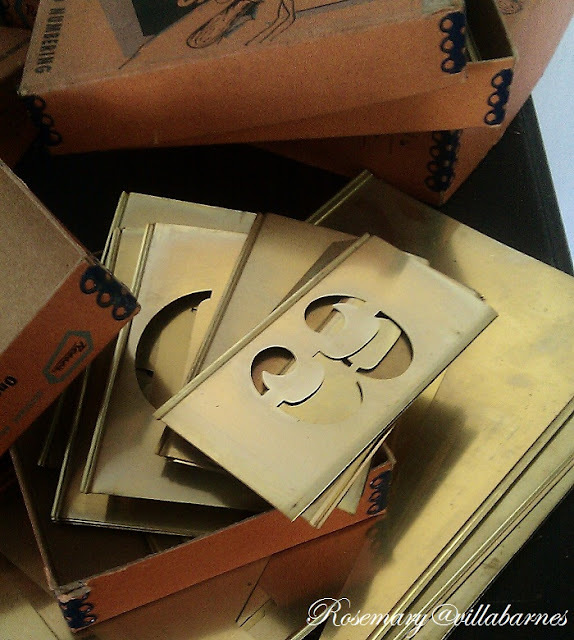 Hi Rosemary, Those brass stencils are such a great find! I know you'll get plenty of use out of them. You have a good eye for finding treasures. Good eye on the metal pieces that you'll make into a desk. It's going to be fabulous. It's all so fun. I commiserate with you on the junk piling up. I spent all day rearranging mine. Projects await. That's for sure. Good luck with all of yours! What great finds Rosemary! I love that chandy!! Lots of cool finds. 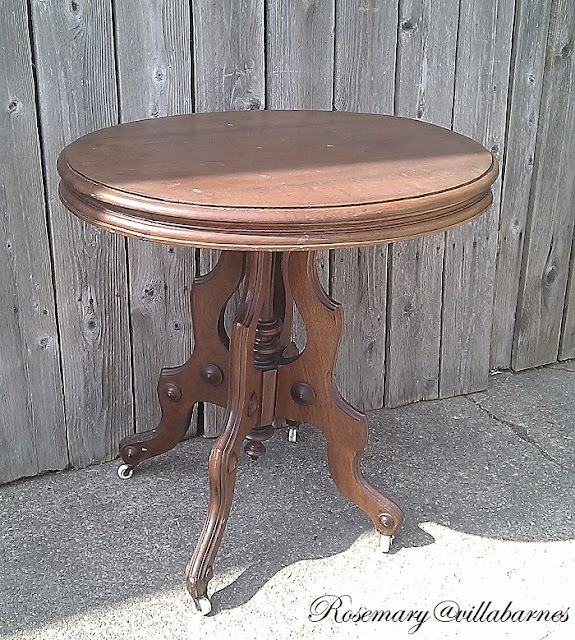 I can't believe anyone would put a Victorian table on a curbside left for trash. Oh well, lucky you!!! I'm gonna be so lost without Rhoda's (Southern Hospitality) thrifty Monday link party - where else can you find people who love thrifting as much as you do? 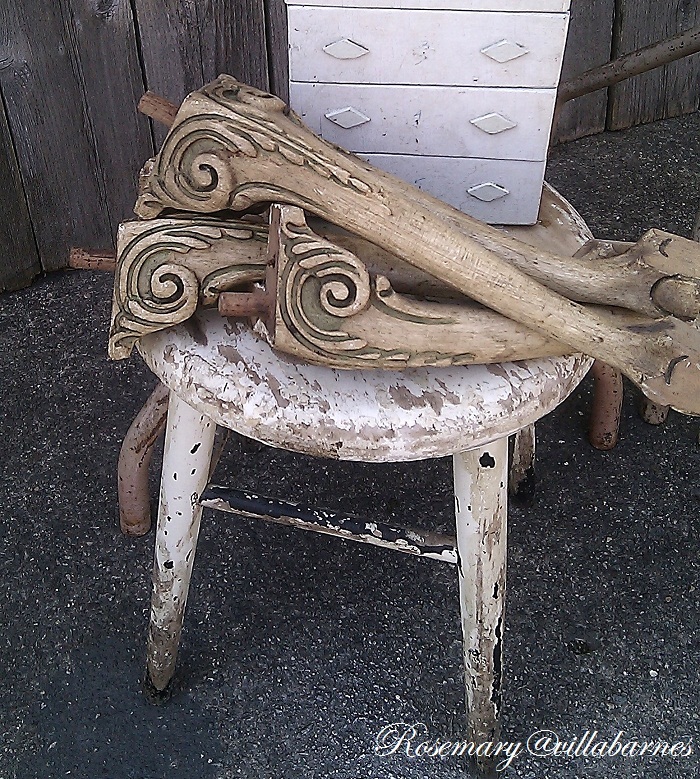 Great finds and I love the table that you refinished. I think I'm most "green" over the vintage brass stencils. Have fun with them. Beautiful finds, and how cool to have found that wonderful table for free!! I love the stencils and the chandelier as well. Great finds Rosemary...wish my neighbors would put out a neat table like that. Thanks for sharing at my party. What great finds. I am just loving what you have done with those pieces. Thanks for sharing. Great finds! 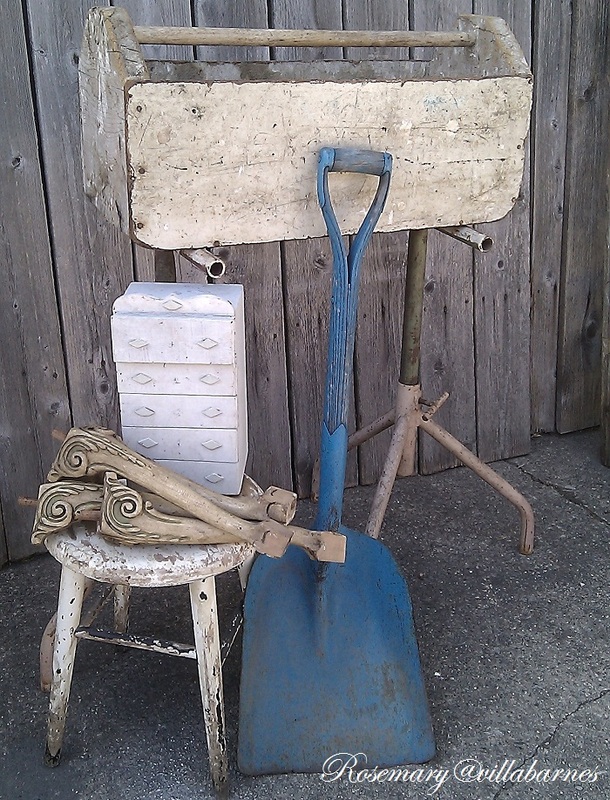 Love that roadside table and silver!